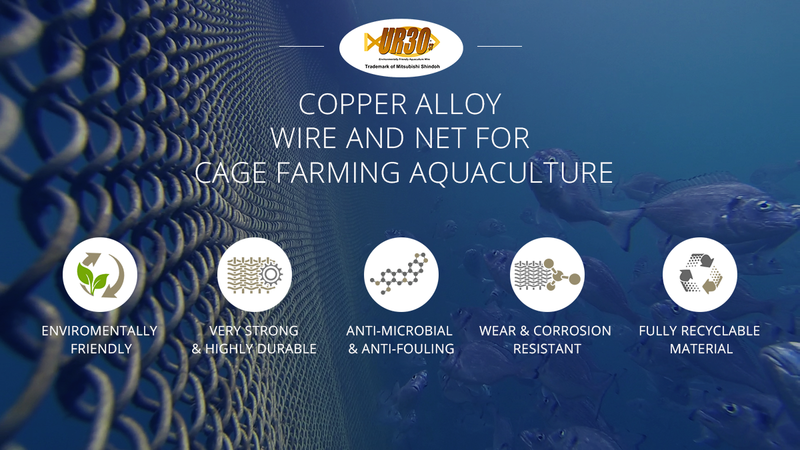 Fitco produces the UR30® Copper Alloy Wire, specifically engineered for aquaculture applications. 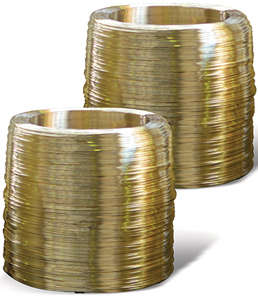 This special copper alloy wire is subsequently woven into chain link fence mesh by special formation machinery. Nets made from this wire have been shown to provide a service life of more than 10 years. The UR30® wire has unique properties. It is an environmentally friendly and fully recyclable material with high strength and durability. Its anti-fouling, anti-microbial and anti-corrosion properties make it an ideal choice for a wide range of applications for the aquaculture industry. Popular uses can be found in aquaculture cages, weirs and barriers, fish traps etc. To manufacture this special wire, a copper alloy is used consisting mainly of copper, zinc and tin. The UR30® wire, of a diameter ranging between 2mm to 6mm, is formed into a mesh by special formation machinery. The mesh consists of square openings with square side lengths ranging between 19mm and 100mm. UR30® 66.0 0.6 0.6 Rem. Copper alloy net improves the aquaculture conditions, productivity and sustainability for the farming of a wide variety of fish species (i.e. salmon, trout, sea bream, sea bass etc.) Due to its natural properties, UR30® net presents an ideal solution for both surface and submersible marine aquaculture colonies for near and offshore sites. Copper naturally inhibits biofouling, enabling better water flow circulation and higher dissolved oxygen levels, reducing pen fouling and decreasing the number of parasites, disease organisms and the use of antibiotics. This leads to increased growth and development, lower mortality rates and improved feed conversion. The high-strength copper alloy net deters predator attacks and eliminates escapes of farmed fish, decreasing the direct economic cost to fish farmers and preventing the ecological impact of any interbreeding with wild fish stocks. Copper alloy net does not need to be frequently inspected for repair works or removed and cleaned to dispose of biofouling that grows on traditional net pens. This ensures decreased fish stress and lowers the overall costs associated with maintenance. Copper alloy net provides higher structural stability and robustness under extreme weather conditions. Maintaining its shape and internal volume against strong waves and currents, it prevents fish crowding and helps maintain high oxygenation that ultimately improves yields. 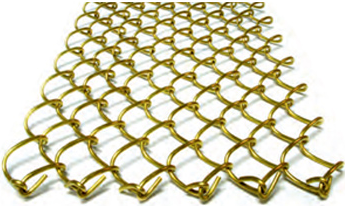 The Copper alloy net offers extended cage life, lasting a minimum of 10 years or more regardless of its installed environment. Furthermore, it loses little mass over time and is fully recyclable. After its service life, the net is returned and is recycled for the production of a new replacement. Copper alloy net achieves substantial improvements in environmental performance because it does not require antifouling coatings and the netting material can be recycled into new nets. Furthermore, due to its minimal corrosive metal release to the surrounding water environment, copper is not bioavailable.